Most women love jewellery but I suspect most men love the odd bit of bling here and there, especially if it’s good quality and makes them feel good. Although my husband rarely wears any jewellery other than his wedding ring when he goes out, he does like a good set of cufflinks. It’s coming up to Christmas and I’ve got a fabulous set of cufflinks up for grabs that can be personalised to make any one of the men in your life a great present. 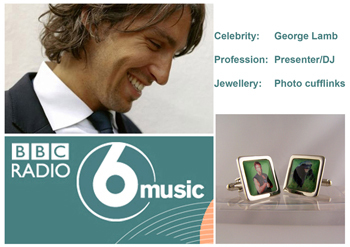 Brighton based Jewellers, Ring have lots to choose from, but they also supply celebrities with personalised photo cufflinks. 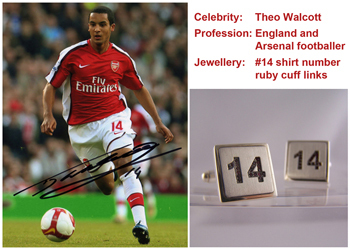 The ones on offer are the ones worn by Theo Walcott and Greg Lamb which can be personalised to your taste. To enter, all you have to do is follow the rafflecopter steps, and good luck. The winner will be drawn by random generator on the 7th December 2013. The competition closes at midnight on the 6th December 2013. The prize will be delivered and you must give us your address to send it to you. Ring reserves the right to amend, add or withdraw this giveaway at any time. The prize will be for one set of personalised cufflinks. My other half would love these for Christmas with our daughter’s pic. An ancher on each as my husband used to be in the navy. A picture of my son. X & O – for kisses and hugs! I’d have my husband’s initials. Quite fancy a nice pair of personalised cufflinks. Great competition prize. 14 is my lucky number! Lovely cufflinks!